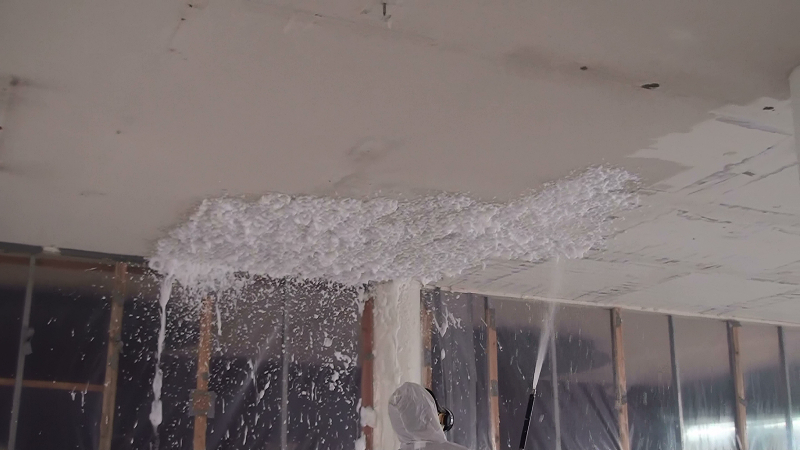 The above video demonstrates the use of the FoamShield™ containment system for the removal of friable asbestos contaminated material (in this instance vermiculite sprayed onto the ceiling and beams) prior to the commencement of demolition. Previous legislation required that when removing this friable asbestos contaminated material, the area must firstly be encapsulated using plastic containment, negative air units, generators, decontamination units, full face positive air masks and other required PPE. 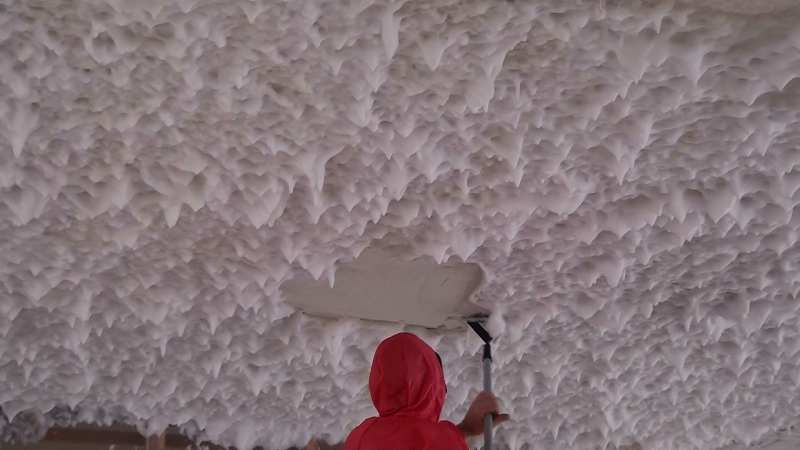 The vermiculite is then wet with water and scraped from the ceiling and beams using metal scrapers. 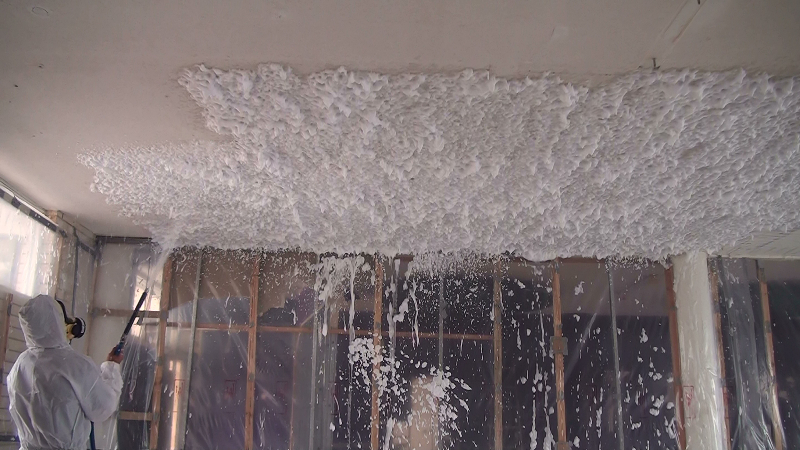 Unfortunately, although all fibres are contained within the “bubbled” area, the water may not encapsulate all the asbestos contaminated material and workers may still become exposed to fibres that are released into the air during this removal process. Workers are indeed forced to work in a highly dangerous environment relying on the respiratory equipment to prevent the inhalation of asbestos fibres within the bubble. 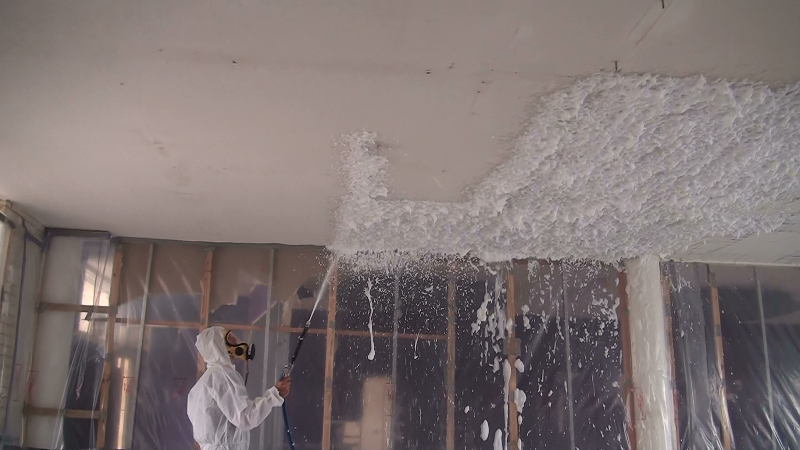 By implementing the FoamShield™ containment system, the exposure to asbestos fibres is eliminated as the fibres become encapsulated in the foam, thereby preventing respirable asbestos fibre release into the air and protecting workers from exposure. Air monitoring conducted within the enclosed “bubble” by way of static and personal monitoring on this project revealed a zero asbestos fibre count inside the containment area. This project was staged using multiple enclosures (5), and the removal process was duplicated for each area throughout the building. 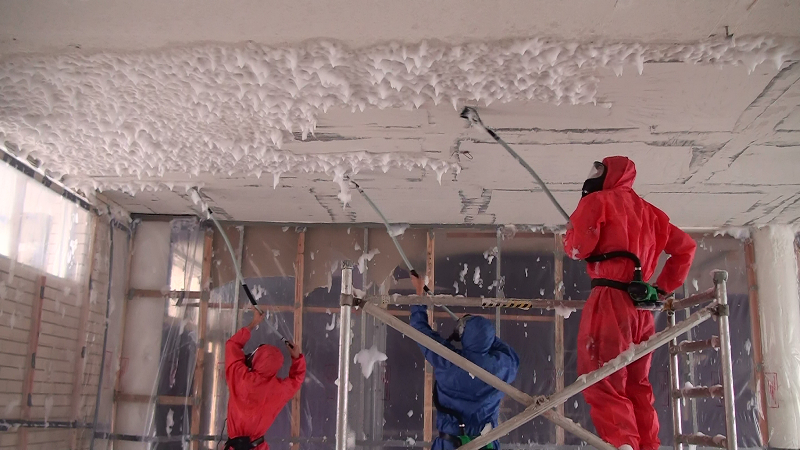 Consistent monitoring procedures were conducted on each stage of asbestos removal. It should be noted that an independent hygienist estimated the asbestos content in the vermiculite being removed as 40%. The new Work Health & Safety Regulations require that an identified hazard be eliminated so far as reasonably practicable. We believe our technology and product meets this regulatory requirement. 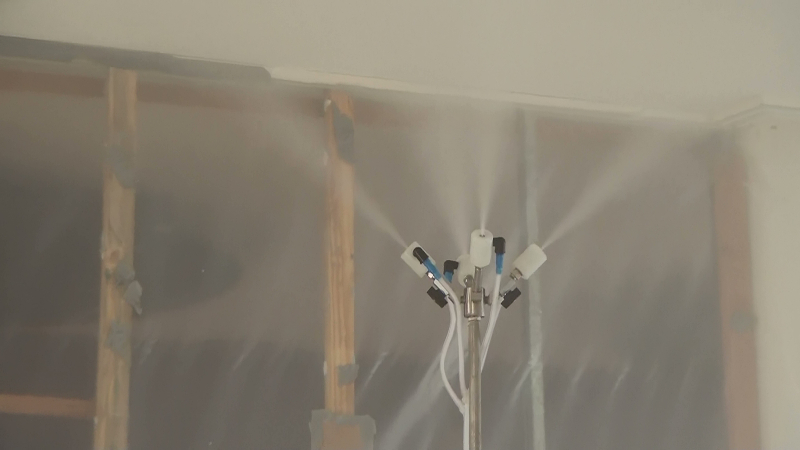 The FoamShield™ technology and product encapsulates respirable fibres and may be used in combination with other safe guards i.e. PPE, containment sheet, barriers as determined for each activity in a project risk assessment. This in turn improves the safety level of workers and others who may be affected as a result of this activity.